MEDIC Regional Blood Center: Free Ticket to Comedy Show! Since you've been on this page, 0 people have needed blood in the United States. Free Ticket to Comedy Show! On Thursday, January 4th, MEDIC Regional Blood Center and Niswonger Performing Arts Center will be partnering to give away special tickets to blood donors for National Blood Donor Month. 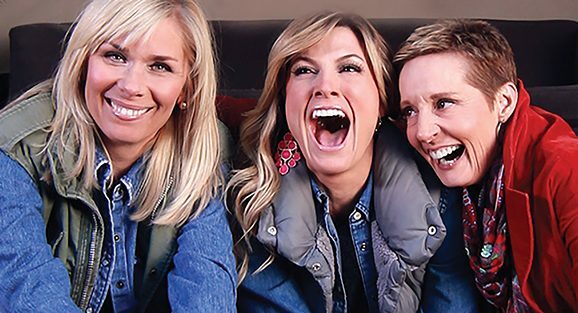 All donors who give blood at Niswonger on Thursday will receive a free ticket to the Country Cool Comedy Tour, which takes place on Saturday, January 6th at 7:30pm at Niswonger. The show features three women with southern roots, who have been friends for over a decade; Leanne Morgan, Trish Suhr, and Karen Mills. All three comedians are strong supporters of MEDIC and its’ mission to provide a safe, adequate and economical supply of blood products to the 29 area hospitals it serves. Morgan, who currently resides in nearby Knoxville, urged donors to step up and donate blood for the community. “I donate blood, my husband donates… I was encouraged to donate blood by my parents. Just give me some peanut butter crackers and a diet coke and I’ll be there,” stated Morgan. Karen Mills also has a personal connection with blood donation, having received platelet transfusions during her cancer treatment several years ago. She has been a cancer survivor for four years and hopes that the community comes out to donate blood for other blood recipients. “I don’t think people realize how important it is to donate blood,” said Trish Suhr. Suhr began donating blood in High School and was led to donate by her brother who is a Navy Seal. MEDIC Regional Blood Center provides lifesaving blood products to 29 hospitals in 23 counties across East Tennessee and Southeast Kentucky.